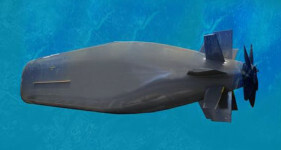 The MRV (Multi-Role Vessel) design from Prevail Partners Ltd closely matches the LSS concept and is a likely contender. 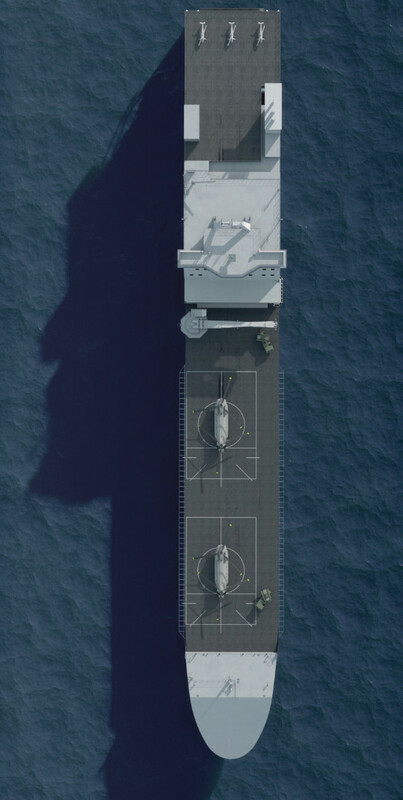 If ordered, the Littoral Strike Ships (LSS) will make up the backbone of the Royal Navy’s future form the backbone of a Littoral Strike Groups, which could also include LPDs (e.g. 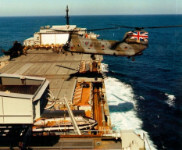 HMS Bulwark and HMS Albion) and LSD(A)s (e.g. Bay Class), as well as escorts and smaller craft. Royal Navy illustration of LSS. 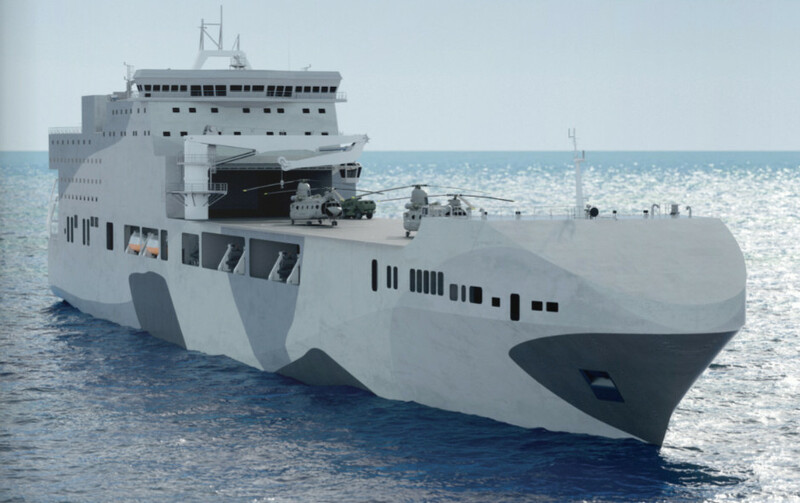 At first glance, the concept design shared by the Royal Navy has some outward similarities to the Royal Fleet Axillary's Point Class sealift ships. 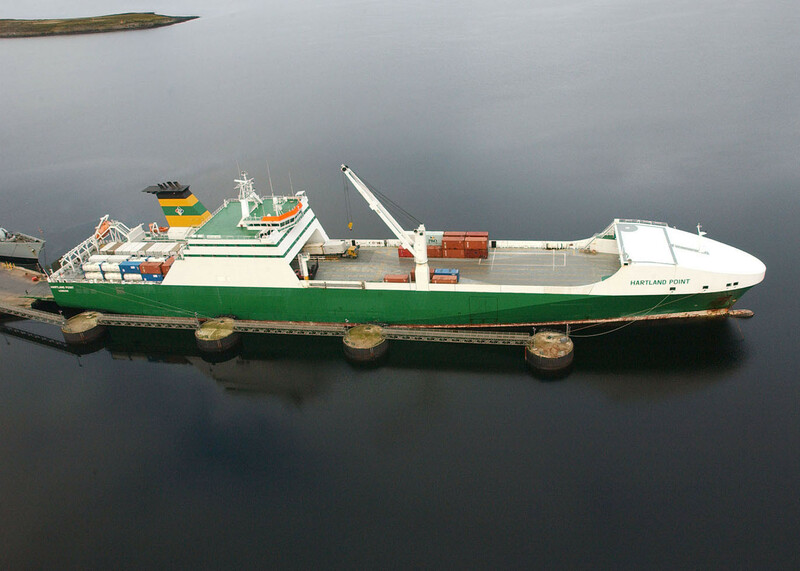 But more tellingly, it is very similar in both form and function to USSOCOM’s MV C Ocean Trader (ex-Cragside). 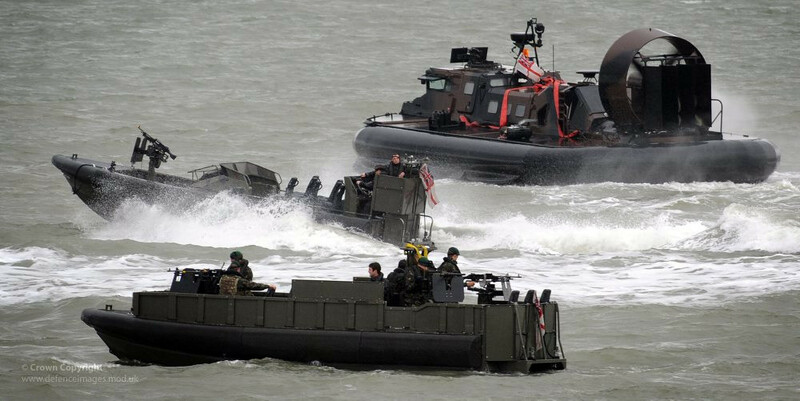 The eight bays along the sides of MC V Ocean Trader can each accommodate a Combat Craft-Assault (CCA). 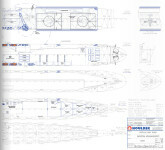 The Royal Navy illustration appears to be a Point Class hull converted to the same configuration as MV C Ocean Trader. 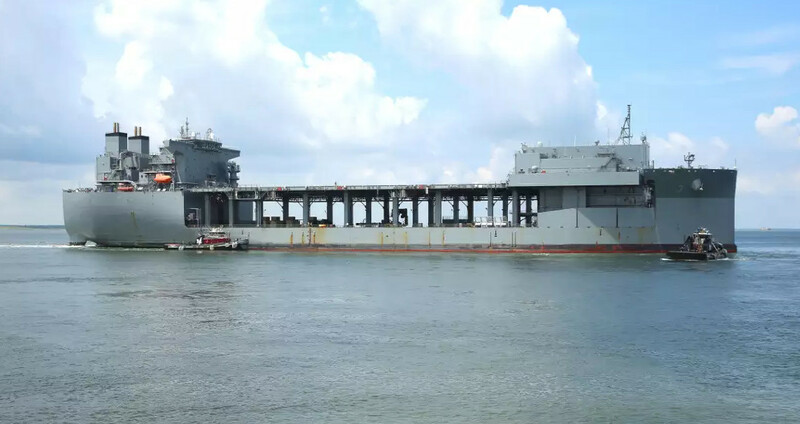 It has also been compared to the USS Lewis B. Puller (ESB-3) design, which is much bigger still and has special facilities for hovercraft. 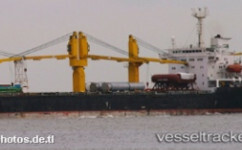 The LSS is closer in every respect to MV C Ocean Trader. The expeditionary sea base USS Lewis B Puller. 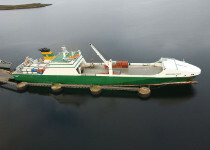 MV C Ocean Trader (ex-Cragside) during conversion. 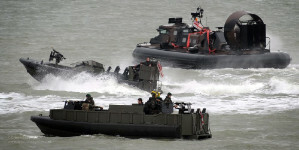 The Royal Marines operate several RHIBs including the Offshore Raiding Craft (ORC) made by Hollyhead Marine, and also the Griffon Hoverwork 2400TD hovercraft. 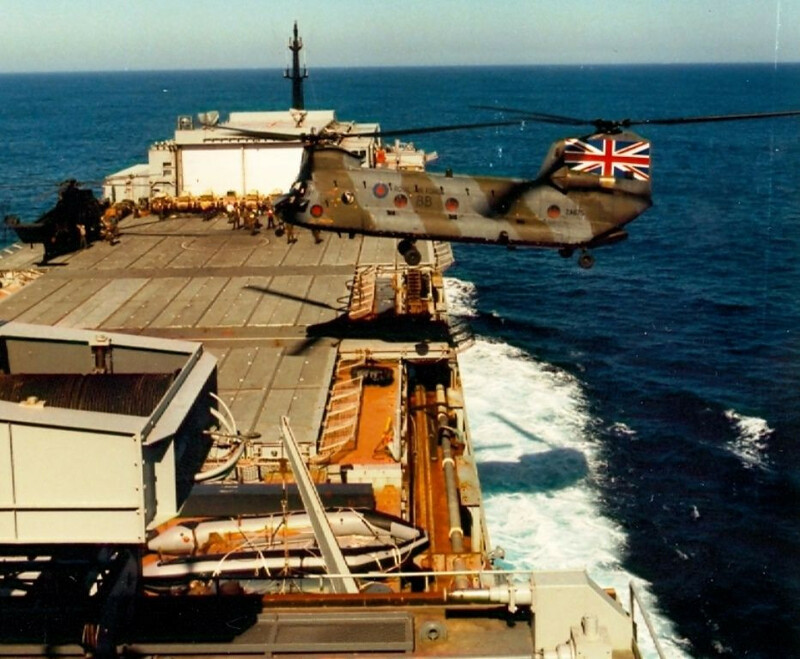 RFA Reliant, a converted merchant vessel, operating off Beruit in support of the UN mission, mid 1980s. 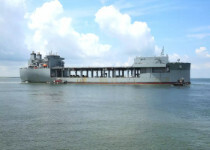 One of the US forward operating bases in the Gulf during Operation EARNEST WILL; the barge Hercules. 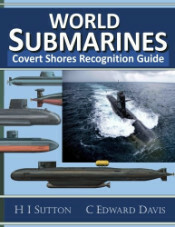 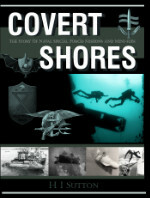 Iran uses the Saviz as a covert operating base in the Red Sea. 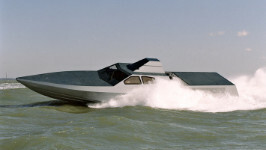 The natural contender is the MRV (Multi-Role Vessel) from UK based Prevail Partners Ltd. 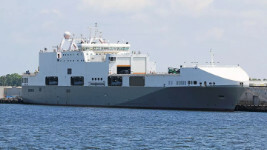 The MRV is a joint project with Holder naval architects (who alsoworked on the Point Class sealift ships), SIEM Shipping and ship broker Clarksons Platou. 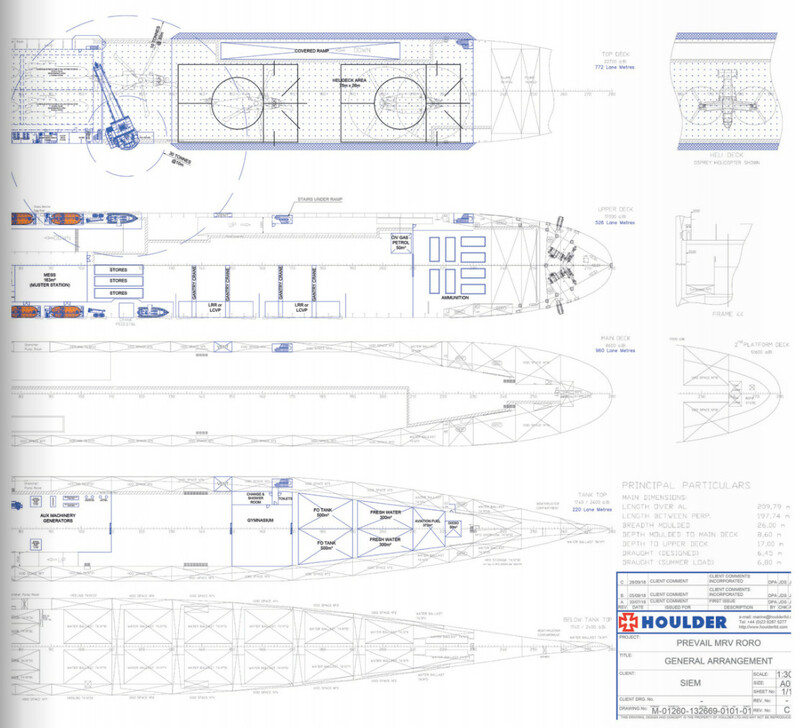 The design is 209.8 meters long and can carry approximately 7,500 tons (DWT). 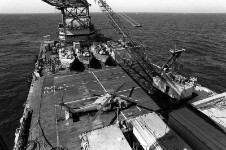 It has two Chinook-sized landing spots in front of the large hanger and can land smaller helicopters or rotary wing UAVs on a secondary pad on the superstructure.